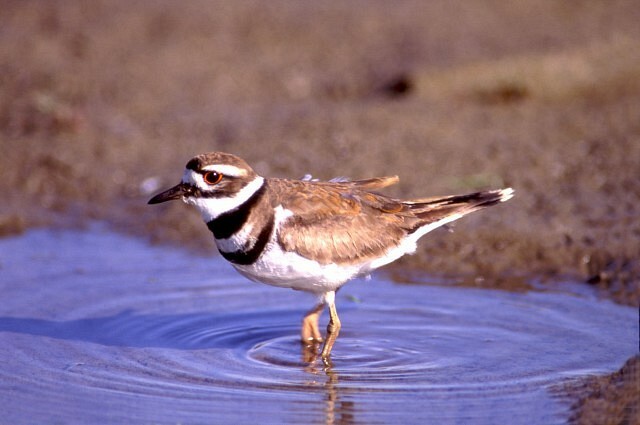 A Killdeer wades in the mudflats of the Shorebird Habitat. Photo by Jim Flynn/The Essex Region Conservation Authority. The Essex Region Conservation Authority has introduced a new pass to allow more birders to experience the unique shorebird migration at Hillman Marsh. They say that because these tourists are here for a short period of time, typically three to ten days, and are strictly focussed in the area surrounding Point Pelee National Park, the Annual Pass providing entry to all Conservation Areas is not the most attractive option for these visitors. The Hillman Spring Birding Pass will provide unlimited entry to Hillman Marsh Conservation Area from April 15th to May 31st for a fee of $25. Daily entry to the park is $5 per car, so for visitors planning to make more than five trips during this time frame, this pass offers good value.